LP version. Orion Congregation is a live recording that perfectly captures the palpable raw excitement of a particularly memorable evening, the concluding date of a series of packed concerts which took place in various venues around Berlin in June 2017. Led by Ahmed Ag Kaedy's entrancing guitar licks, which seamlessly merge blues and rock with the traditional "Assouf"-style of his homeland, the pace soon quickens as the band pick up the gauntlet. The double-drummer, double-keyboard line-up produces a genuine Sensurround sound, enhanced by depth charge levels of bass action, blasts of saxophone fury, and storm clouds of electronic whooshes, sending the listener on a sonic rollercoaster with the controls set to the furthest constellation, with the volcanic drumming of Mahalmadane Traoré acting as rocket fuel. The audience hollers and whistles that crop up from time to time are an accurate reflection of the electric atmosphere that pervaded at every gig. Ahmed Ag Kaedy, who is featured in the documentary film Mali Blues (2016), founded the band Amanar de Kidal in 2005 (two records on Sahel Sounds) and worked with Fatoumata Diawara and Samba Touré. Kidal is a small town in North-East Mali which despite its size and relative isolation, has been the focal point for uprisings of Kel Tamasheq rebels against the Malian government for several decades. Ahmed Ag Kaedy's conscious lyrics stress the importance of education and development in a country plunged in deep turmoil. When the extremists took over his hometown, the suppression of music was one of the main points in their agenda. After being threatened with having his fingers cut off if he ever dared to play the guitar again, Ahmed Ag Kaedy decided to move to Bamako, where he still lives. 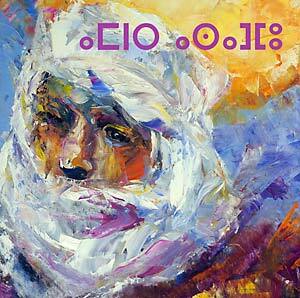 Orion Congregation (or in Tamasheq, "Amanar Assafou", as it stands on the cover in the Tifinagh script) features a floating line-up revolving around Ahmed Ag Kaedy and drummer Mahalmadane Traoré from Amanar, and key members of two bands representing two generations and contrasting approaches to trans-continental fusion. Keyboard and duff player Michael Wehmeyer has been a member of the legendary German band Embryo since 1977, and the remaining musicians, saxophonist, flutist, and synthesizer player Johannes Schleiermacher, and keyboard player Jörg Hochapfel (both members of Andromeda Mega Express Orchestra), drummer Bernd Oezsevim (who, along with Schleiermacher, plays in Gunter Hampel's Trio), and bassist Kalle Enkelmann (Julia Kadel Trio). Recorded live at BLO-Ateliers, Berlin, June 28, 2017.